Set up this handy easel in seconds by mating tabs with hook-and-loop closures. Insert presentation materials into Flip-N-Tell Display Book-N-Easels clear, nonstick pockets. 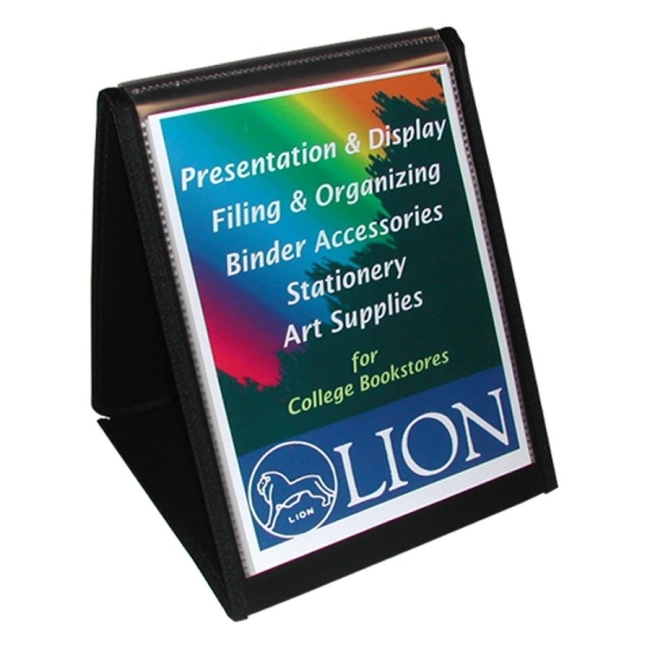 Easel has 20 two-sided pockets to insert up to 40 charts and a business card pocket on front cover. Made of durable polypropylene with nylon-sewn protective edges for years of dependable use. Easel contains 40 percent recycled material. $76C-line Deluxe Non-Glare Vinyl Project Folder - 8.50" x 14"